As this is your first novel, can you share a bit about your journey to becoming a writer/published author? I wrote my first draft of my first novel when I started my first job after college. That novel (like so many other people’s first novel) is in a box in my closet. Eight years ago I started the first draft of what came to be Truths Not Spoken. I got about 20,000 words in, then lost interest. At the end of 2015, I finally got tired of hearing myself say “I’m going to write a novel.” I told myself I had to step up, or shut up. So I joined a local writers group, resurrected those 20k words and plowed into it. 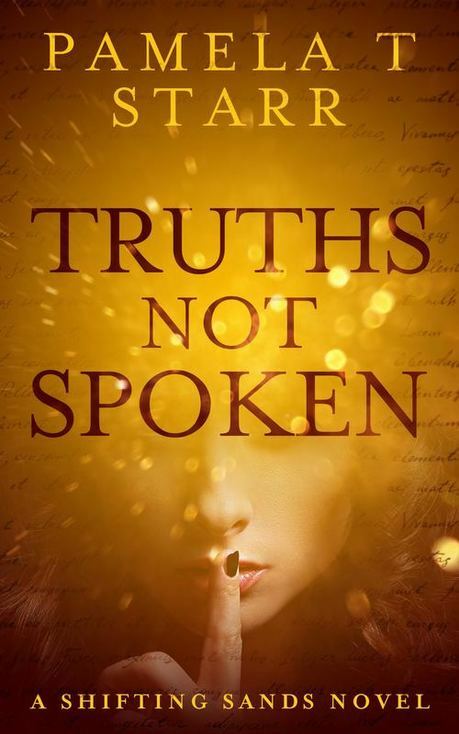 Where do you find inspiration for the story line in Truths Not Spoken? For the main characters, especially Laurel, Laurel's friend Ashley, Kyle and Vic? Eight years ago, there was a lot in the press about the paparazzi hassling celebrities. My original plan was to write a love story between a celebrity and a photographer who was following her. 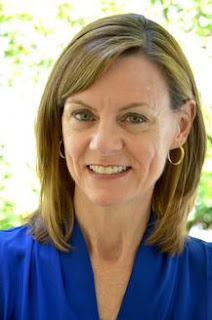 The celebrity evolved into a regular woman (Laurel.) Kyle is pretty close to my own fantasy man, so he wasn’t difficult. I was single for a long time so Vic is a mashup of the worst characteristics of some of the men I dated in the past. He was actually the most fun character to write! Laurel’s friend Ashley is more like the woman I’d like to be. She’s a bit quirky, flirty and is the star of my next book. I wanted readers of Truths Not Spoken to get to meet her so they can look forward to getting to know her better. How do your organize your time - writing, research, pre-marketing, etc.? In the summer of 2016, my fiancé was on a cross-country, self-contained bicycle trip. I knew he would be gone for two months and that was the perfect time for me to sit down and crank out the majority of the book. I wrote every night after my day job was over. I worked with an editor before I made my final draft. I did pre-marketing, started my social media and email newsletter list when the editor was reviewing it. What did you enjoy most about writing process? What was the hardest for you? Like many women, I often feel like my life is out of control. So the early writing process was great. I could make people do whatever I wanted them to do! That was my favorite part. The hardest part was dealing with all the pesky details. I did A LOT of cutting and pasting and I needed to be sure I didn’t have gaps in the story. That drove me crazy. Thankfully my early beta readers caught a few places where I took out too much information. You are also a trainer and public speaker. Was there anything from that area of your life that affected your work as an author? Public speaking is a huge fear for a lot of people. For most, it is a fear that the audience won’t like them. A long time ago I learned to stride onto a stage with the confidence that most people will like what I have to say. And if a few people don’t, that’s not the end of the world. I embraced that same attitude when it came to my book. 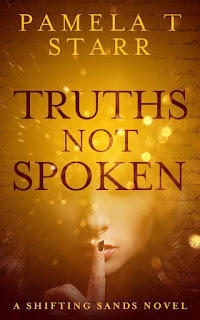 Truths Not Spoken is a casual, easy read. I know some people who claim to only enjoy literary fiction. If they don’t like my book, that is fine. Once I came to realize that, I felt less pressure and was able to enjoy the writing process more. I’m just a regular person, just like them. I’ve met people who are in awe of the fact that I published a novel. I even had someone on an airplane ask for my autograph! My book has a sleek and shiny cover, but my real life is just has bumpy as everyone else’s. I love to bake. There is something relaxing to me about pulling out an old, trusty cookbook and seeing the drips and stains on it from years of making yummy treats. I have special memories of all of my favorite cookies, muffins and brownies. When I make them, it feels like all is right with the world. Is there any advice you can offer someone just starting to write their first novel? I know this is overused, but just do it. Don’t worry about where to start, how perfect it is, if you should outline or not, or what people will think. Don’t worry if people will buy it or not. Once we become adults, we figure out some dreams will never come true. But anyone can write a novel. You just need to do it.